While social media automation tools can save you time and effort, it can’t replace what needs to be done by being personable. If done right, you can still have meaningful conversations with your community and keep your content schedule fresh and authentic. 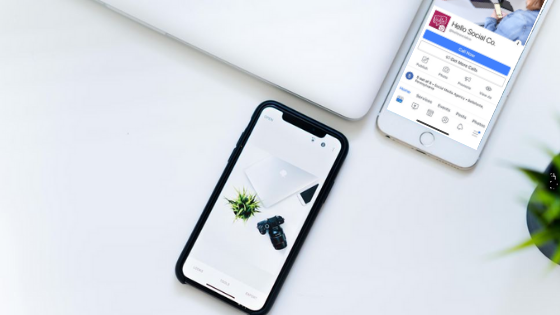 There’s a common misconception that automation tools are meant to make social media marketing a completely hands-off process, when in fact it’s just one of the many tools you have available to make you more efficient. In fact, scheduling posts that can be shared on more than one of your platforms in advance can save you time and result in business growth. The more consistent and active you are on social media the higher traffic you’ll drive to your website or right in your door. The more time you have to interact with those responding to your content the better. Plan When writing your content you’ll want to be specific about how what you’re putting out there will benefit your viewers. Shareable content is always a great go-to. If you’re not sure what’s shareable for your company, just take a look at which posts, specifically the content, is being shared the most. What’s getting the most traffic? What’s turning your viewers into active members of your community? Post Once you’ve scheduled your content it’s important to return when they’ve been published to engage with your audience. Please Properly managing your social media accounts is a great way to improve your customer service. Always remember that people buy from people and there’s a fine line between using social media automation to streamline customer service and discouraging your audience with bots. Today’s world is one that is active on social networks so customers rely on social media when they have a question or a problem. You’re maintaining a two-way street. Scheduling your posts might be able to be put on autopilot, but you have to ensure that the other tasks are being managed in real-time. Find the perfect balance of curated content and meaningful dialogue with your community, for the sake of efficiency.